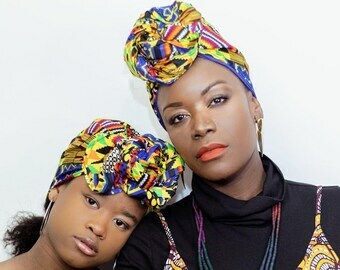 Announcement BUY 5 HEADWRAPS & GET 1 FREE- Complimentary Headwrap selection is the fabric choice of Regal Clothes. Please Note: We like to ship orders complete and multiple item orders will be shipped based on the oldest delivery period. 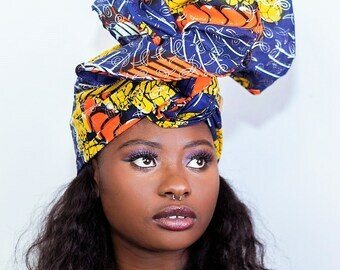 BUY 5 HEADWRAPS & GET 1 FREE- Complimentary Headwrap selection is the fabric choice of Regal Clothes. 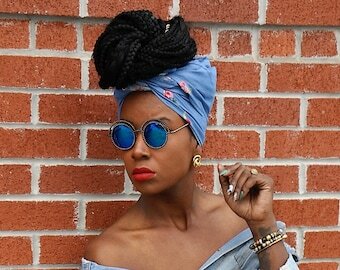 I love the Chambray fabric of this head wrap. The fit is perfect and versatile. Shop owner takes pride in her business and stands by her product. She’s very personable and cares about customer satisfaction. Of course I would shop here again and I plan on it now. Very disappointed the print looks nothing like the picture. ☹️I expected item shown..a ready made turban..not a swath of cloth. Your add is a little miss leading. I know it's my fault for not scrolling through all the tabs.. but cloth sent is not even the same fabric or pattern and it was shipped late. 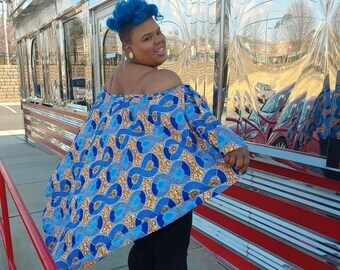 Why are you advertising one pattern and shipping something else? Fashion Showcase Tribal print coat end dress ensemble with matching purse. Exquisite! Princess dresses in tribal print with sheer organza overlay. Perfection. 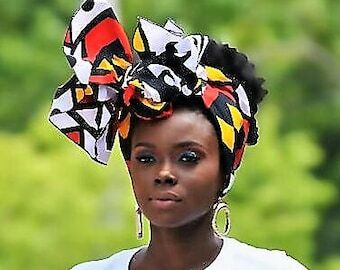 I have loved fabrics since my great grandmother-Nana Boatemma explained to me as we sat under the palm trees on a musky evening in my childhood home in Kumasi, Ghana that each cloth has a voice and fabrics speak. 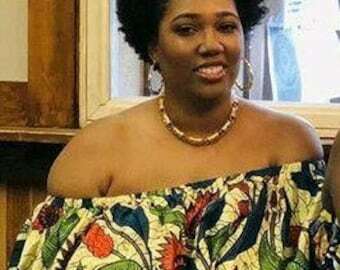 She explained that the designers of the traditional fabric be it the royal Kente cloth or the basic cotton wax cloth imprinted hidden meanings in their designs and that a woman must carefully inspect the pattern prior to wearing it as not to cause insult or shame to those around her. 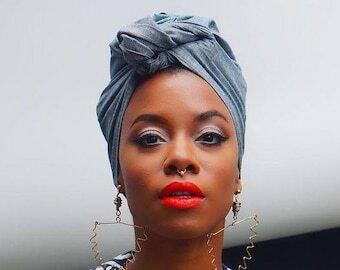 Only a woman who has been schooled at the foot of the elders will choose her cloth wisely and rely on the wisdom, patience and insight they have taught her to understand the strength of the message she is sending as she wraps herself in the native garments. Great grandma explained that one may be enticed by a bold print that depicts two she – elephants with trunks entwined raised high. But the design is signaling to us that there is a war in the house and the elephants are fighting. And we all understand that when the elephants fight it is the ground below that is trampled. No my daughter Nana Boataemma advised it is best to choose the fabric that shows the elephants side by side grazing quietly –this shows that there is harmony in the home. 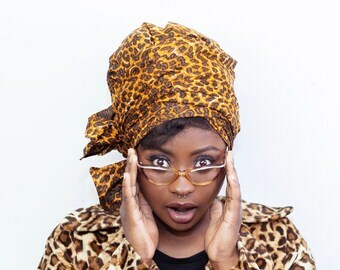 I would sit at the market place and giggle uncontrollably as my Nana clucked deeply when brightly dressed women passed her kiosque enrobed in prints that spoke so telling of their passions for another, their jealousies and secret ambitions . This was my introduction to the African soap opera with its dark allies, hidden rooms and unspoken messages. To this day I gingerly study each print and touch each fabric to understand the message its craftsman was communicating to us. 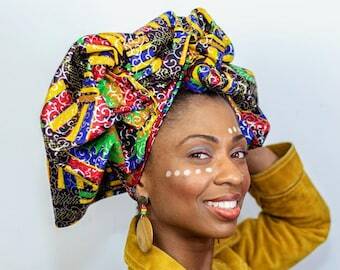 Each pattern I choose is designed to empower and embolden its wearer. 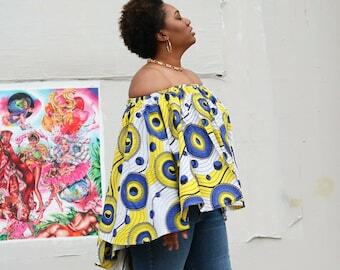 You will discover that Regal Clothes designs and fabrics will whisper to you of your beauty, courage and compassion that is within. I am sooo excited about meeting you and your discovery of my hidden jewel called Regal Clothes. Every significant change in my life has been marked by a whirlwind of beautiful creations. Thank you for your support of REGAL CLOTHES. We personally select each fabric for symmetry, color and balance. 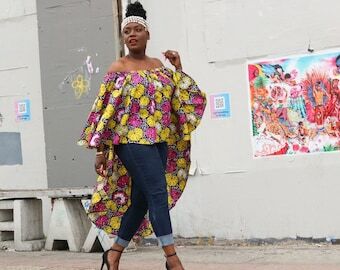 The Dutch Wax Fabrics are from Ghana, West Africa and the Vintage fabrics are source locally from reputable family owned fabric stores. Store credits and exchanges are encouraged. We aim to exceed your expectations and will strive to ensure your satisfaction. We will gladly refund or exchange any item within 7 days of purchase if you are not happy for any reason unless your item was customized. Simply return the item in it's original condition and packaging and a refund or exchange will be issued. Return shipping charges are the responsibility of the purchaser. All Etsy approved payment foms accepted. You get complimentary PayPal Buyers Protection when your purchase is paid for via PayPal and sent to a PayPal verified address... Don't have a PayPal account? That's okay - you can still pay with a credit card through PayPal without having an account. We are adding new items every day, so check back often, or favorite our shop to see what's new. Please see specific item notes regarding shipping lead times. All US orders are shipped USPS First Class Mail upon item completon. International orders are specific to USPS delivery for country. We ship via USPS 1st Class and provide tracking information. Every item is gift wrapped, includes a customized card and carefully packaged to ensure safe arrival. ❀ SPECIAL DELIVERY: If services such as EXPRESS delivery or INSURANCE is needed please ask us for prices.